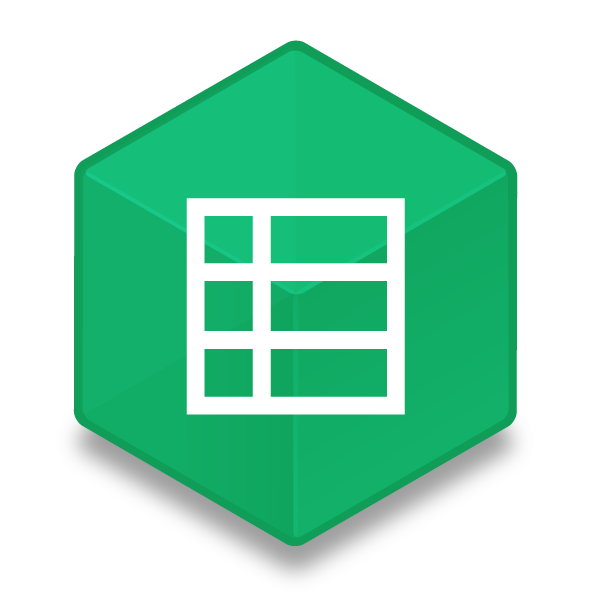 The Live Data Stack gives you the ability to import data live from Google Spreadsheets. This will allow you to update certain values and text in your web pages on the fly. Make lightning fast changes to your website without having to re-publish or even open RapidWeaver. Change values from anywhere you can access Google Spreadsheets, even from your mobile phone! The changes are nearly immediate and will appear the next time the page is loaded. The Live Data Stack uses shortcodes so you can place the data anywhere on the stacks page, even inside other Stacks (Anywhere text is allowed). Get data from a single or even multiple spreadsheets at once. Use automated web apps to change your spreadsheet values so you never have to lift a finger to update your page. By default the Live Data Stack will display the current value from any spreadsheet cell on page load. Using the “Live Updating” feature will make it so the Stack checks for updates to the spreadsheet at timed intervals. Page visitors will be able to see the values change right before their eyes in as little as 2-3 seconds after the changes are made. Go ahead give it a try! We have created a public spreadsheet so anyone can change the value of the input above. Edit this spreadsheet to see it in action. Note: The contents of the box above come from page visitors and not from 1LD. We would not recommend sharing your spreadsheet URLs with the public, this is for demonstration only. Use services like Zapier or IFTTT to create automated events that update Google Spreadsheets. Those updated spreadsheet values will then be automatically reflected on your websites. As an example, we have used IFTTT’s free services to create a spreadsheet that logs PayPal checkouts. We then used that spreadsheet to create a cell to count the number of transactions. The Optic Stats Stack now accepts values from Live Data so you can show live stats with visual animations. In this example we are using the same value from the rating in the example above only inside of the Optic Stats Stack. Note: The animation is triggered when the stack comes into view, so this value will only update when the page has been reloaded. Use the Siphon Stack to send data to IFTTT and store data in a Google spreadsheet. That data can then be read into your webpage to display unique stats. In the example to the right you can pick any rating (1-5) and it will effect the overall rating and message below the form. Click the button to apply your rating. Thanks! The rating below will be updated in roughly 10 seconds.